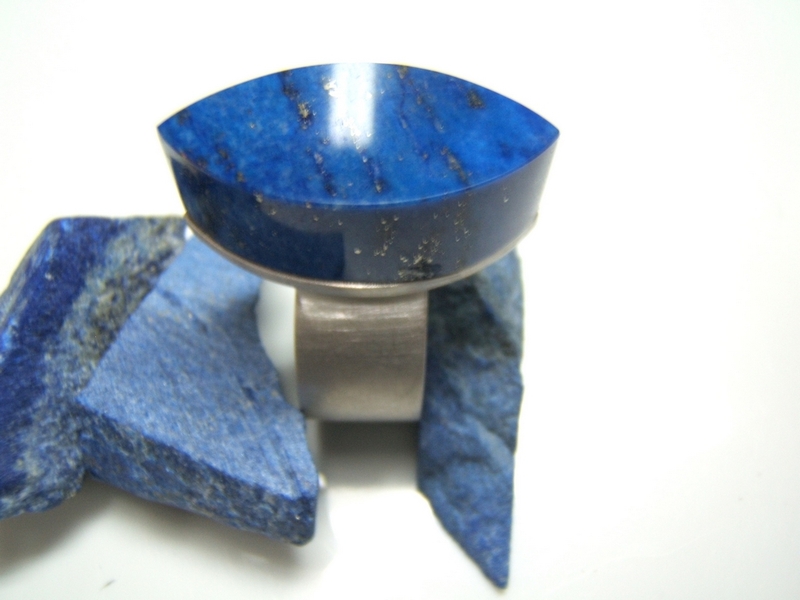 Ring made� by a master craftsman in silver with a stone Lapislazuli size pitcher or marquise measures 28 mm long, 14 mm wide and 9 mi�limetros high. The ring size is accurate multi-measurement to be opened from the bottom.The raw material contained in the photo does not come at the price, it is only to make sure that the stone of the ring has been cut out of this material. Its blue color was considered a symbol of purity, health, luck and nobility, which ground that was used by egyptians, babylonians, and assyrians, for salad dressings and masks funeral. The kings of France of the XII-XIII centuries were the first to put on fashion garments, dyed in blue color, extracted from this stone, which I have just happening to the culture and painting of later centuries. It its blue color makes it one of the stones most beautiful in the world.